The store is set up in cooperation with MobiHand. MobiHand provides several services related to distribution of application software and other digital available content to various third-party sites like Esato. Independent developers can sign up with MobiHand and let them handle the sale through relevant channels. MobiHand and Esato have a revenue share of each sale where the developers of course earn the majority of the charged amount. 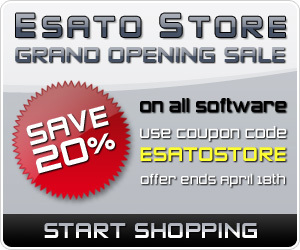 To celebrate the opening we are giving away a 20% coupon named "EsatoStore". Use this code during checkout. 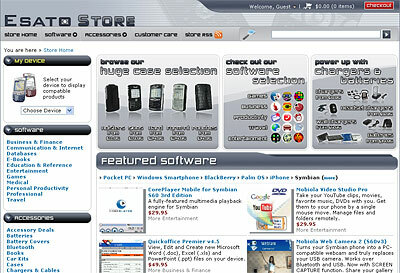 The offer is valid until April 18th 2008. Please go to store.esato.com to check out what we have to offer.